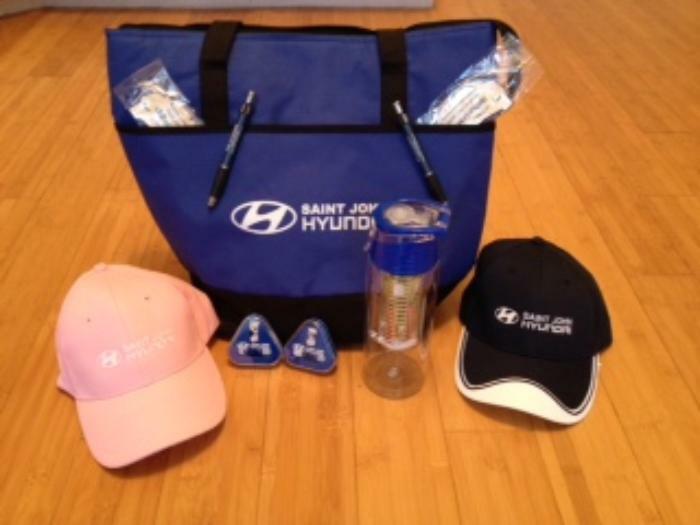 Donated by Hyundai, a soft shell cooler bag filled with bonus gifts. Great to take to the beach or a picnic. Comes with 2 pens, 2 car air fresheners, 2 sets of ear buds, his and hers ball caps and a BPS free water bottle. All of this in one package. Keep it all for yourself or share with the family!